BrewStitched is committed to protecting your privacy and any information you share with us! We may collect information from users in a variety of ways, including, but not limited to, when users visit our site, register, log into their account, add an item to their cart, place an order or subscribe to our newsletter. Users may be asked for, as appropriate, name, email address, mailing address, phone number or credit card information. We will collect this type of personal information only if it is voluntarily submitted. Like many websites, our site uses "cookies." Cookies are small data files placed on a user's browser or device by a website. These files contain an anonymous identifier that allows a website to recognize you when you visit. They do not contain any personal information. We may also use log files or pixels to track actions occurring on our site. These would collect data including your IP address, browsing activity on our site, and dates/times. The email address users provide for order processing and/or when creating an account may be used to ask them questions, respond to their inquiries or send updates pertaining to their order and/or browsing history. If a user decides to opt-in to our mailing list, they will receive emails that may include new products, updates, related product or site information, etc. If at any time you would like to unsubscribe from receiving future emails, we include unsubscribe links at the bottom of each email. We keep all customer information confidential and do not sell any information to any third parties. We adopt appropriate data collection, storage and processing practices and security measures to protect your personal information. This includes contracting reputable third parties to monitor the security of our site and data. Sensitive and private information transferred between the site and users happen over a SSL secured communication channel and is encrypted and protected with digital signatures. Our site is also in compliance with PCI (Payment Card Industry) vulnerability standards in order to create as secure of an environment as possible for users. When you are paying for a product on our site, your payment is processed by a third party payment processor that specializes in secure online payment processing. If a user chooses to save a credit card on our site, the third party processor stores this information and our site can only reference the card through unique identifiers that do not reveal the full card details. This is a process called tokenization. When you place an order through our site, we will hold your order information for our records unless and until you ask us to delete it. Account holders have the ability to update or remove their personal information at any time through their My Account page or by contacting customer service. If you would like to delete your account, please contact us through customer service and we can do that. 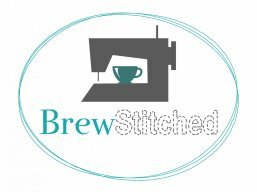 My shop was created after days and hours and months and years of sewing and staying energized with coffee and sometimes beer - thus the name BrewStitched came to be! I'm working hard on building out even more offerings in 2018, hoping to expand and provide more variety of fabrics and designers. I love to sew and create, my hope is to offer not only beautiful fabrics, but also finished goods made with those fabrics to inspire your creativity along the way. If there is a particular fabric line you'd like to see me carry, I'd love to hear from you. Thank you for stopping by my ever expanding shop of treasures. All sales final. No returns. I ship out all products in a waterproof envelop or plastic internal bag to avoid any water damage. Please email me if you need to cancel your order before it's shipped, I will do everything I can to accommodate the cancellation. I always accept customer orders/requests for products. Please send me a convo and we can talk about what you are looking for. I won't commit to the order unless I think I can make you 110% satisfied.